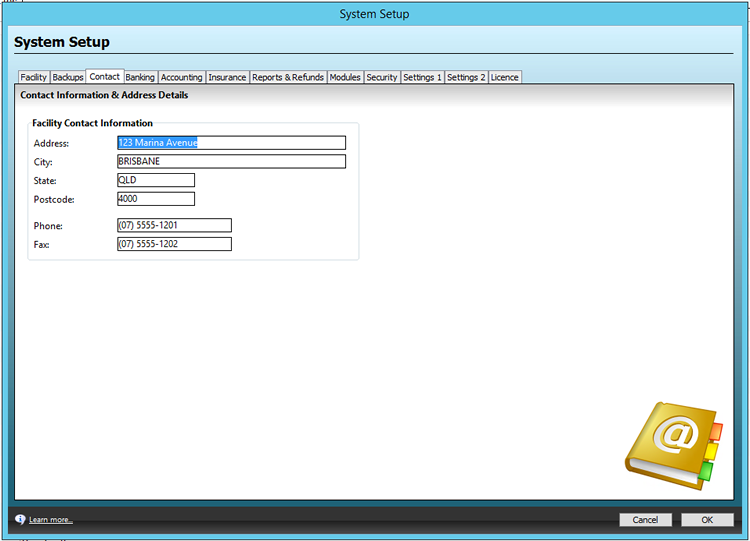 This article explains what each field is and does under the contact tab in system setup. The Facility Contact Information section is used to set your contact details. These may be displayed on reports, your AutoPay forms, Invoices footers / headers, Notices.